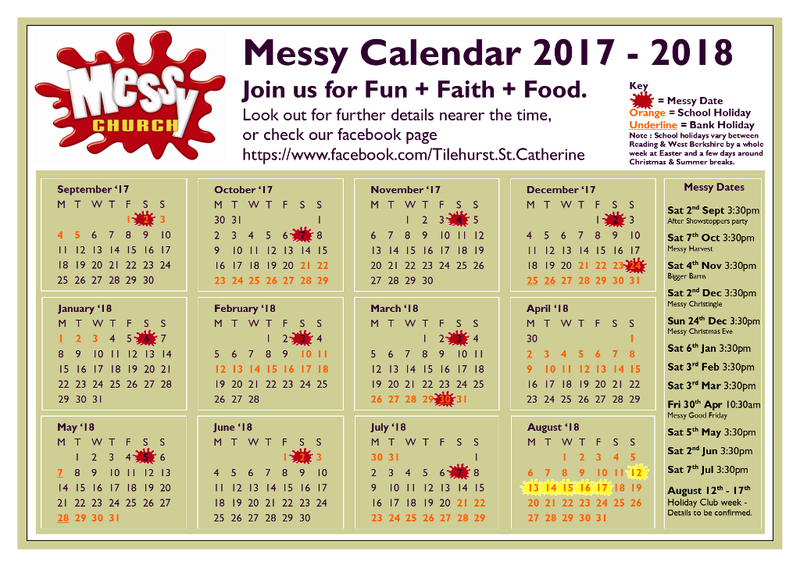 After a break in August for our Showstoppers Holiday Club, Messy Church returns on the first Saturday of each month – so the next is this coming Saturday 2nd September. Whether or not you came along to any part of our week long holiday club, everyone is invited to the after show party. Jesus liked a party, and we’ll be looking at a story he told about a great big party. 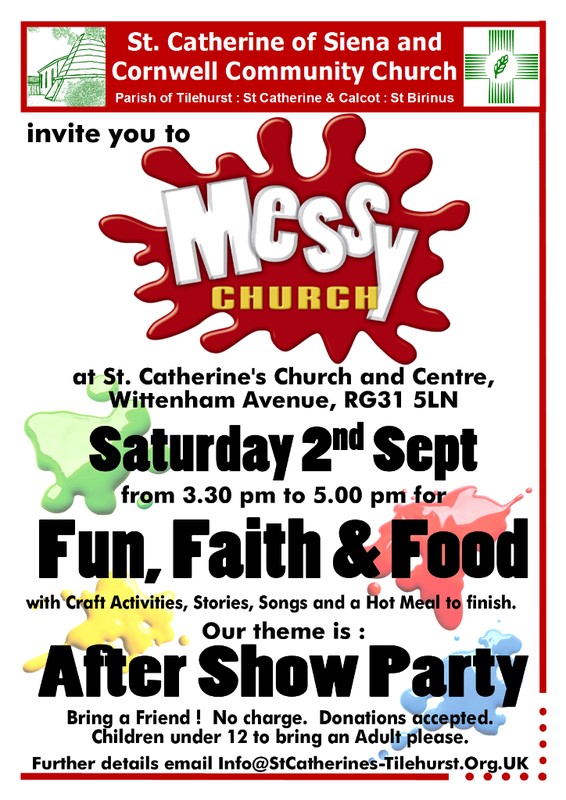 We’ll provide the party food, so why not bring the whole family to experience Fun, Faith & Food at St Catherine’s at 3:30pm on Saturday 2nd September. Please also find below our planned Messy Dates for the next school year. 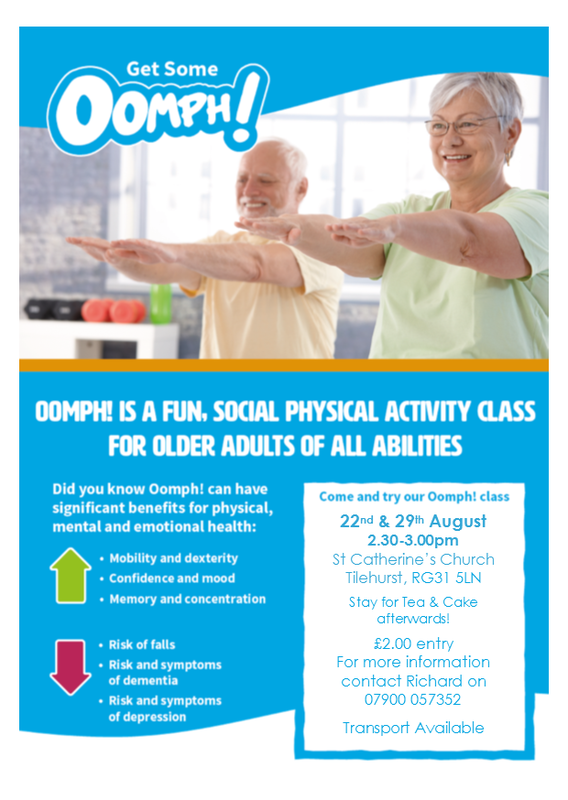 Tuesday 29th August sees the 2nd of our “Oomph” exercise class taster sessions. Each session consists of half an hour of mild physical activity followed by socialising over tea and cake. The idea is to improve mobility, dexterity, confidence, mood, memory and concentration, especially for those suffering from dementia and depression. 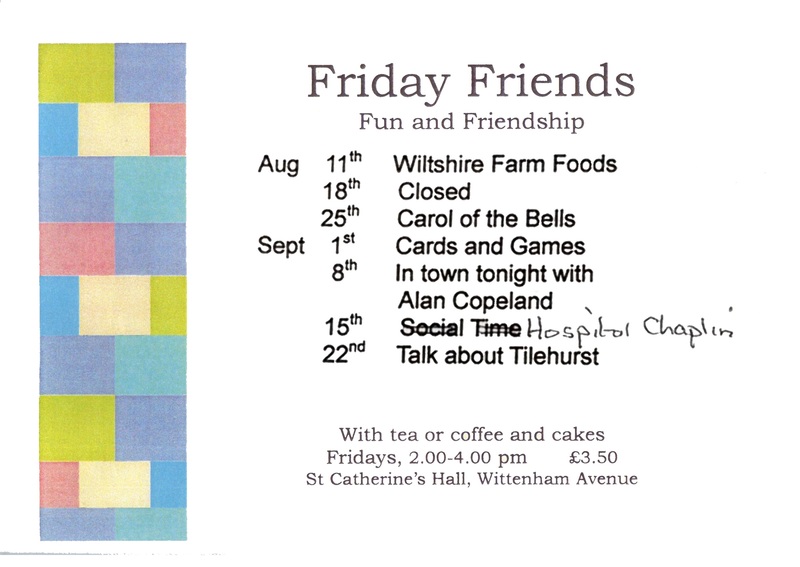 After the summer break, Friday Friends resumes on Friday 25th August. Click below for a glimpse of what nearly 70 children, helped by over 45 adult and teenage helpers got up to at this year’s Holiday Club – Showstoppers! A reminder that Friday Friends is closed on Friday 18th August while our Holiday Club takes place. We resume on 25th August. Café Summer Closure next week (August 17th & 18th). 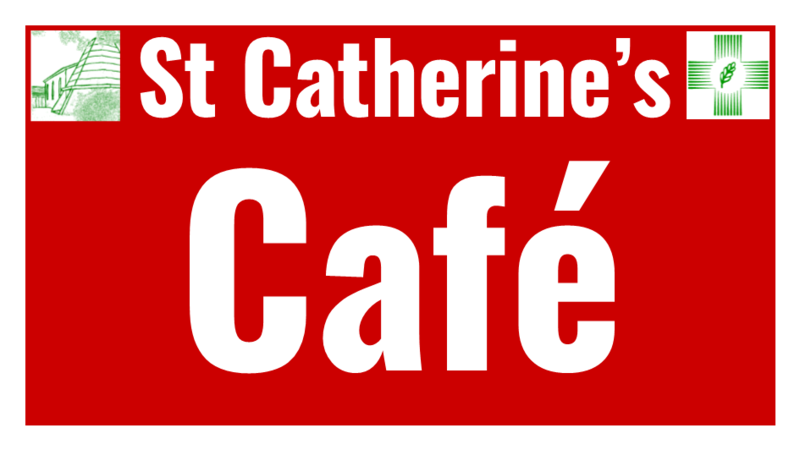 St Catherine’s Café is closed next week while our Holiday Club takes place. This means it will not be open Thursday 17th and Friday 18th. The Café will reopen as usual on Thursday 24th. 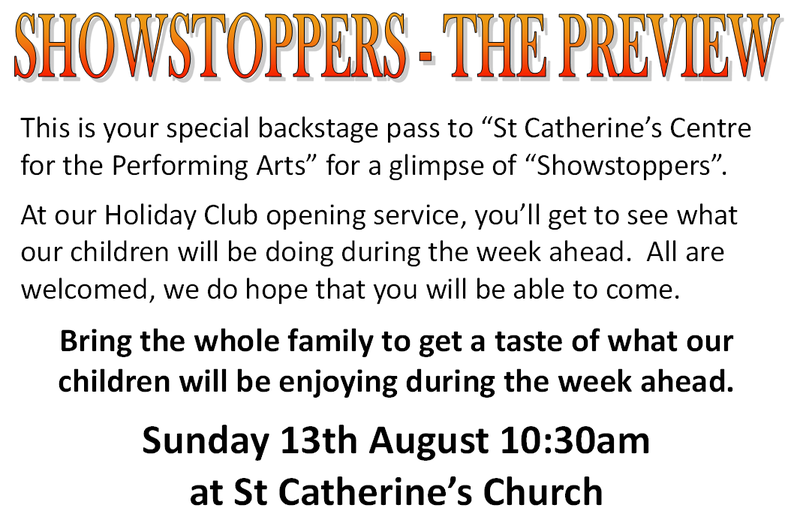 You are invited to preview our Showstoppers Holiday Club week by joining us on Sunday morning, 13th August at 10:30 am. The whole family are invited to get a glimpse of what our children will be doing in the week ahead.